Asbestos once provided insulation for most buildings and homes due to its fireproof resilience and versatile nature. However, since its heyday, we have come to learn just how dangerous asbestos can be, as sicknesses like mesothelioma and asbestosis have become household names. Unfortunately, most buildings that were built before the 1990’s have had or still have asbestos present today. Asbestos, which is often disturbed during remodelling and renovation, requires licensed removal companies to safely mitigate the dangers it presents when present. Asbestos was traditionally manufactured in two forms. The first form came as a wool-like material and is known as “friable” asbestos. Friable asbestos is soft, and crumbly, and requires a removal agent in possession of a Class A asbestos removal license. The opposing form of asbestos that was manufactured is known as “non-friable” and was manufactured in a solid or rigid state. This type of asbestos requires removal agents to have a Class B asbestos removal license. 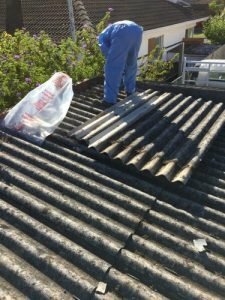 Hazaway Asbestos Removal is a fully-insured and certified Class B asbestos removal company, serving Springvale and the greater Melbourne area. We tend to Springvale asbestos removal projects in a way only a professional and experienced company can. We offer comprehensive asbestos removal solutions, keeping your health and safety as our top priority. Asbestos Removal – Hazaway Asbestos Removal locates and removes Class B asbestos safely and efficiently. Asbestos Disposal – Asbestos must be disposed of in a very specific manner, as dictated by the Environmental Protection Authority (EPA). Hazaway Asbestos Removal is certified to work within those specifications. Asbestos Encapsulation – There may be a situation in which the safe removal of asbestos is prohibited by the circumstance. In other words, it may be safer to leave the asbestos where it is, while creating a seal that bars the hazardous material from doing harm. Asbestos Testing – Even the most professional eye may not be able to determine whether a material contains asbestos. Hazaway Asbestos Removal will arrange for the suspected material in your home or building to be analysed. Asbestos Air Monitoring – This process assesses the air quality in a home or commercial building to look for the existence of asbestos fibres. Asbestos Clearing Certificates – These are obtained to confirm the complete removal of asbestos from the building. Why choose Hazaway Asbestos Removal to meet your Springvale asbestos removal needs? Hazaway Asbestos Removal is a company that specialises in safely removing Class B asbestos in Springvale, permitted by Worksafe Victoria and the EPA. Our technicians are experts that are highly adept at the safe removal techniques and protocol for handling asbestos. We offer Springvale asbestos removal services at a reasonable cost, without sacrificing any of our high standards. 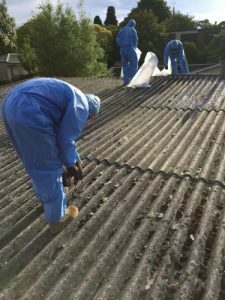 We are dedicated to completing our asbestos removal projects in Springvale in a timely manner, so you can get back to your life quickly, and with peace of mind. Contact Hazaway Asbestos Removal for your asbestos concerns! If you have any questions about asbestos removal from your property in Springvale, or would like to receive a free quote for our services, give us a call today at 0432 622 292. We want to ease any concerns you may have regarding asbestos removal from your property.